Researchers from Italy's ISOF-CNR, University of Naples "Federico II" and Università di Modena e Reggio Emilia have developed new organic n-type FET transistors based on CVD graphene sheets. The researchers say that the new process and materials they used can enable flexible, transparent and short-channel OFETs - which could be used in the future for OLED or OLET displays. 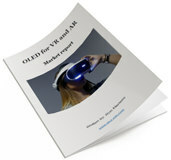 Today we published new versions of our market reports - that cover the flexible, VR/AR, microdisplays, automotive, PMOLED and graphene OLED markets. OLED-Info provides comprehensive niche OLED market reports, and our reports cover everything you need to know about the niche market, and can be useful if you want to understand how the OLED industry works and what this technology can provide for your own industry. The reports are now updated to January 2019. Huawei launched several new devices yesterday, including four new AMOLED ones. The top of the line is the Mate 20 X, a large smartphone that features several high-end technologies - a 7.2" 1080x2244 (346 PPI) AMOLED display, a triple Leica cameras setup, a GoodixTech under-the-display fingerprint sensor, a 5000 mAh battery and a graphene thermal management film. 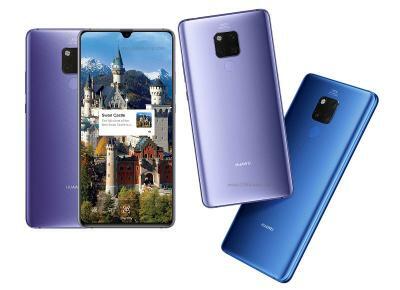 Huawei also launched the smaller Mate 20 Pro - another high-end smartphone that features a 6.39" 1440x3120 (538 PPI) AMOLED display (reportedly produced by BOE), an Octa-Core Kirin 980 (7 nm) chipet, 6GB of RAM, 128 GB of storage, an NM card slot and a triple Leica optics camera setup. The Mate 20 Pro is the first smartphone to adopt Synaptics' complete display system solution - which includes Synaptics’ flexible chip-on-film (COF) ClearView display driver and the company's ClearPad touch controllers. 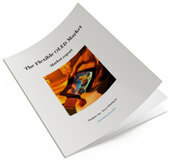 Today we published new versions of our market reports - that cover the flexible, VR/AR, microdisplays, automotive, PMOLED and graphene OLED markets. OLED-Info provides comprehensive niche OLED market reports, and our reports cover everything you need to know about the niche market, and can be useful if you want to understand how the OLED industry works and what this technology can provide for your own industry. The reports are now updated to October 2018. Today we published new versions of our market reports - that cover the flexible, transparent, VR/AR, microdisplays, automotive and graphene OLED markets. OLED-Info provides comprehensive niche OLED market reports, and our reports cover everything you need to know about the niche market, and can be useful if you want to understand how the OLED industry works and what this technology can provide for your own industry. The reports are now updated to July 2018. Researchers from Yonsei University managed to use a graphene-like 2D material called Molybdenum Disulfide (MoS2) to create a transistor that can drive flexible OLED displays. The researcher created a 6x6 OLED pixel array on a 7 mm plastic substrate that is so bendable (1 mm radius) it can be used as a skin sticker as can be seen in the video above. Today we published new versions of our market reports - that cover the flexible, transparent, VR/AR, microdisplays, automotive and graphene OLED markets. OLED-Info provides comprehensive niche OLED market reports, and our reports cover everything you need to know about the niche market, and can be useful if you want to understand how the OLED industry works and what this technology can provide for your own industry. The reports are now updated to April 2018. 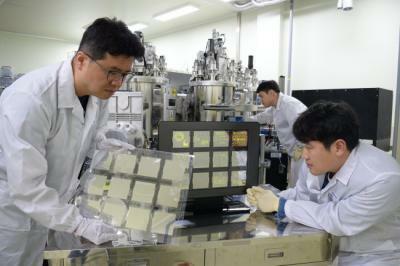 Researchers from Korea's ETRI (Electronics and Telecommunications Research Institute) developed a flexible OLED panel that use a transparent graphene electrode. ETRI will detail this new graphene-based OLED panel at SID DisplayWeek 2018 in May. The researchers produced a "fully operational" 40x40 mm OLED panel that uses the pixelated graphene film as electrodes. Today we published new versions of our market reports - that cover the flexible, VR/AR, microdisplays, automotive and graphene OLED markets. OLED-Info provides comprehensive niche OLED market reports, and our reports cover everything you need to know about the niche market, and can be useful if you want to understand how the OLED industry works and what this technology can provide for your own industry. The reports are now updated to January 2018.